There are reasons to be skeptical about high-yield bonds, but not for the ones investors have been worried about lately. For starters, there’s little indication that investors are fleeing risky bonds for good. Yes, two of the biggest U.S. junk-bond ETFs have experienced outflows this month. Investors pulled $1 billion from the SPDR Bloomberg Barclays High Yield Bond ETF through Friday and $600 million from the iShares iBoxx High Yield Corporate Bond ETF. But there’s nothing unusual about those outflows. The SPDR ETF experienced outflows in 30 of the 71 months since 2012, and the iShares ETF experienced outflows in 33 of those months. Both funds have also had bigger monthly outflows since 2012 than they’ve had so far in November. 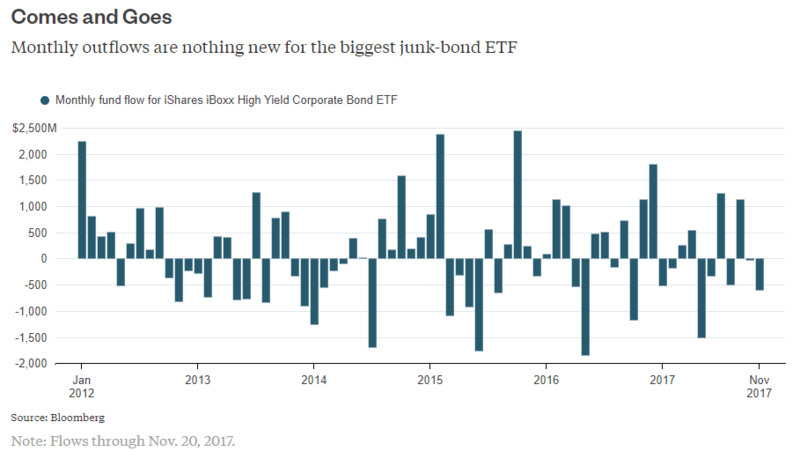 None of those occasions appear to have dimmed investors’ fondness for junk bonds. In fact, there are indications that money is already flowing back in. Meanwhile, emerging-market bonds — another favorite of high-yield investors — are as popular as ever. The biggest emerging-market bond ETF, the iShares J.P. Morgan USD Emerging Markets Bond ETF, has experienced outflows of just $58 million in November through Friday. And the second-largest ETF, the PowerShares Emerging Markets Sovereign Debt Portfolio, took in $94 million. There’s also no reason to fear the recent uptick in yields. 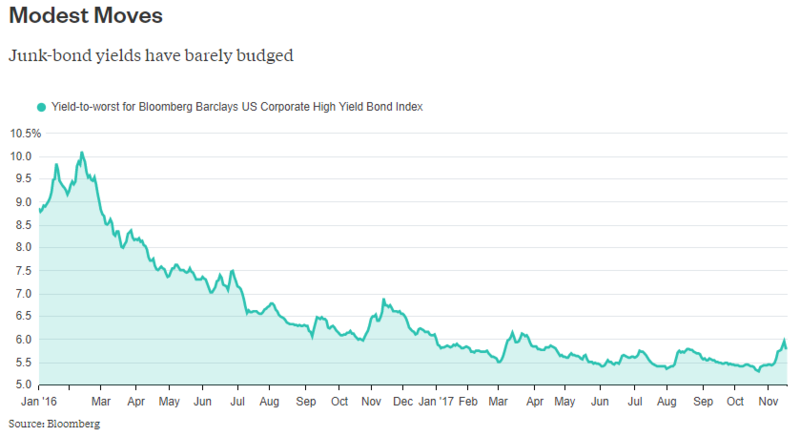 Sure, the yield-to-worst on the Bloomberg Barclays US Corporate High Yield Bond Index is up 0.46 percentage point to 5.77 percent since its recent low on Oct. 24 through Monday. But it would have to increase an additional 3.36 percentage points just to get back to its long-term average of 9.13 percent since 1987, the earliest year for which yields are available. Similarly, the yield-to-worst on the Bloomberg Barclays Emerging Markets USD Sovereign Bond Index has ticked up 0.27 percentage point to 5.05 percent since its low on Oct. 17. That, too, is a trivial move. It would have to rise an additional 3.18 percentage points to reach its long-term average of 8.23 percent since 1993. And even if those moves were bigger, they wouldn’t be useful signals to investors in the near term. The correlation between yields and short-term bond returns is weak. Consider that the correlation between the high-yield index’s 12-month yield and forward one-year total return has been 0.4 since 1987, and that the correlation between the emerging-market index’s yield and subsequent one-year return has been 0.35 since 1993. Instead, investors should be worried about what yields mean for longer-term returns. 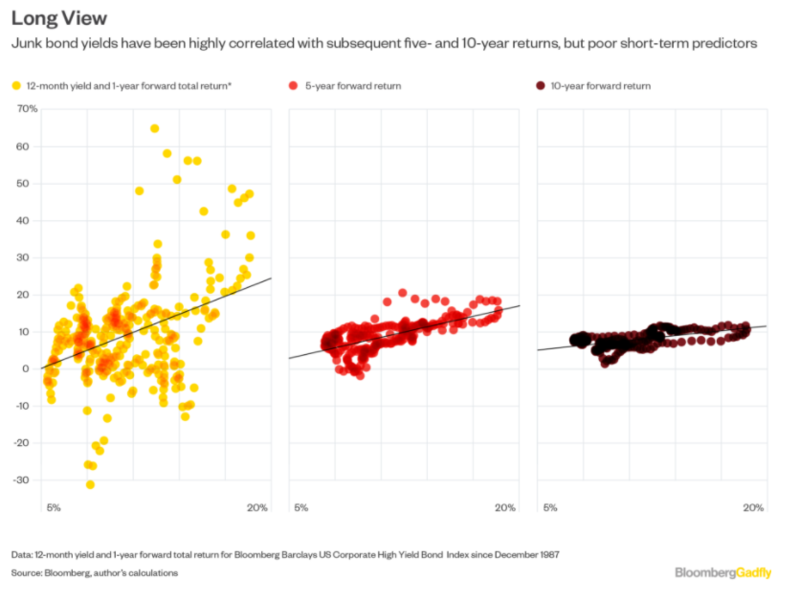 The correlation between the high-yield index’s 12-month yield and subsequent five-year return has been 0.67, while the correlation with 10-year returns has been 0.56. 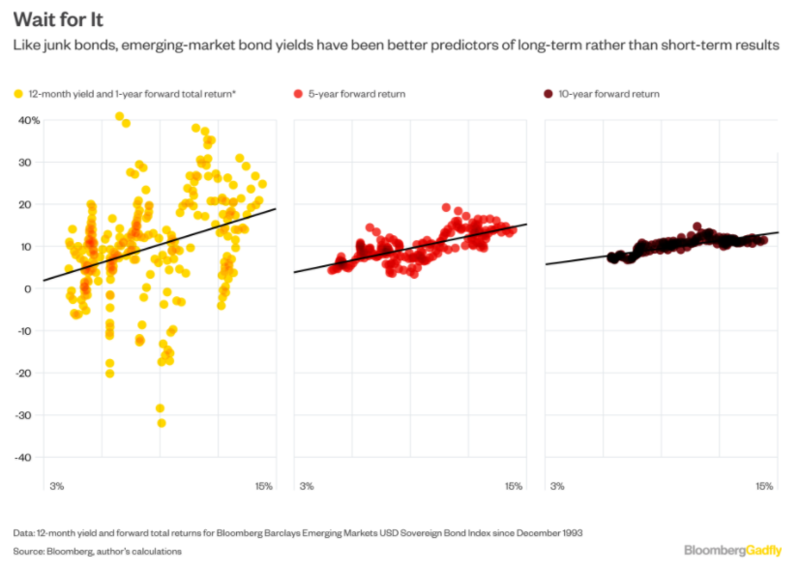 That relationship between yields and long-term returns is even stronger in emerging markets. The correlation between the emerging-market index’s 12-month yield and forward five-year return has been 0.72, and with 10-year returns it has spiked to 0.81. In other words, low yields have tended to augur low returns. It gets worse. Investors shouldn’t expect those lower returns to come with a smoother ride. 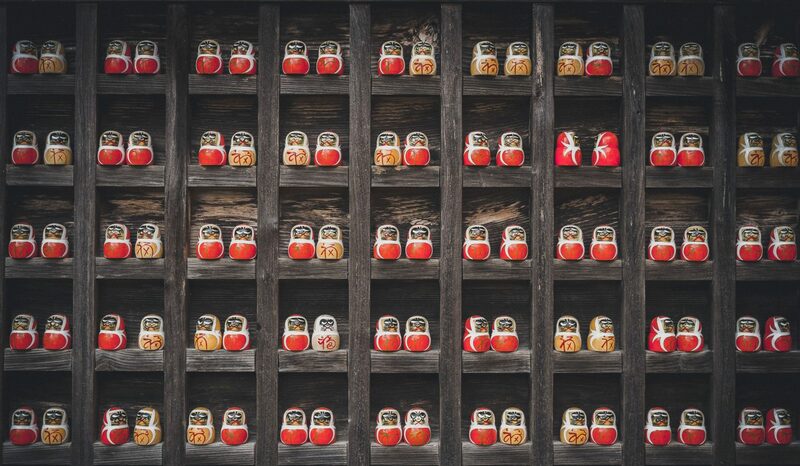 The correlation between the high-yield index’s 12-month yield and subsequent 10-year standard deviation is a negative 0.42, which implies that lower yields are slightly more likely to deliver more volatility. The same 10-year correlation for the emerging-market index is 0.24. Investors in high-yield bonds are likely to be poorly compensated for risk in the years ahead. For that to change, high-yield bond markets will have to become a lot scarier than they have been in recent weeks.